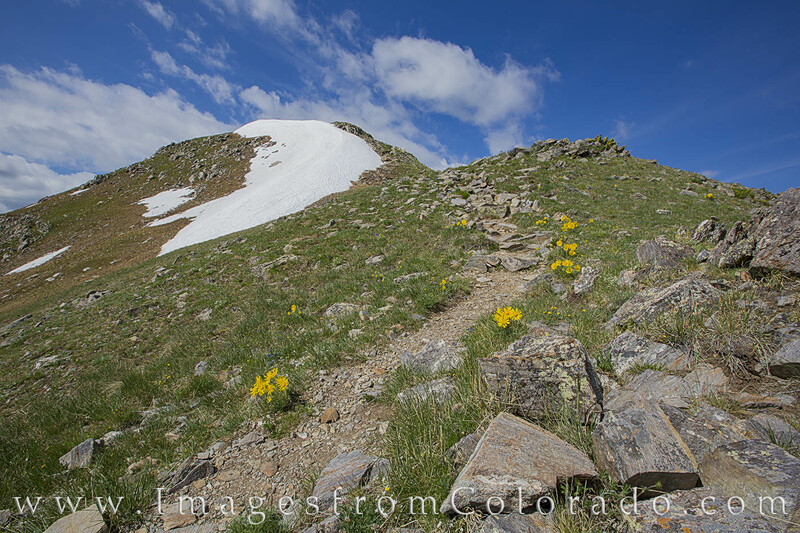 Near the top of the nearly 13,000’ peak in Fraser, Colorado, sunflowers line the trail and a bit of winter’s snow lingers on the slopes. Byers Peak stands at 12,804’ and the trail runs nearly 10 miles round trip. The hike is relatively easy and provides great views of the Fraser Valley and Grand County near Winter Park. Photo © copyright by Rob Greebon.